What would a weight loss program be without a before and after compilation? Well, The Master Cleanse, despite being a detox diet first, is famous for its propensity for fast weight loss. 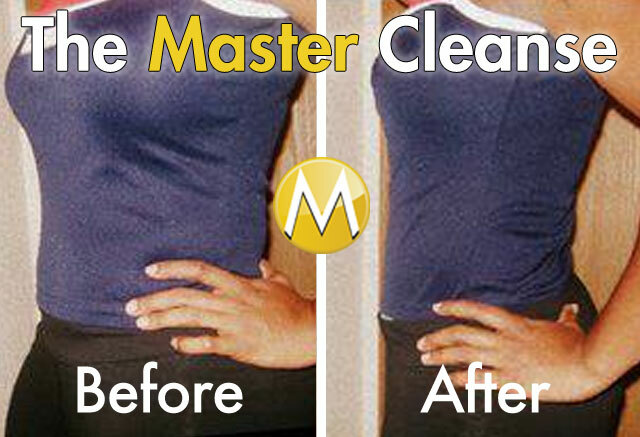 The following series of 15 images are the best collection of Master Cleanse Before and After photos available today. BUT, if you have your own to contribute, make sure you send them along (form at the bottom) for a chance to win your next detox supplies and $100 gift card to Amazon.com. Everyone has a before and after photo of their front, but there's more to the shape of our bodies than that. The weight gained and lost on the master cleanse hides on the back of your arms, behind your shoulder blades and inside your thighs. You can really see the difference here in the overall size of my body, especially the back of my arms and the tapper to my back. This before photo is what I call the barrel and perrogies (yes I am Ukrainian ((and Polish)). Both are dimminished after the master cleanse. Just be sure you don't eat a barrel full of perrogies after your cleanse or you'll go right back to the before photo. The Pinch… Lose an inch here and you're see the difference everywhere. You can see I lost several inches after my master cleanse. These 7 photos of before and after master cleanse photos are from around the web. So many people do The Master Cleanse, but in this digital age, not too many people have shared their photos. If you're going to do The Master Cleanse, consider documenting your experience and getting the support from our Group Cleanse. Share your photos or videos and we'll reward you for your efforts. Show off your success, be proud! Of course there are a few famous persons out there that have done The Master Cleanse. 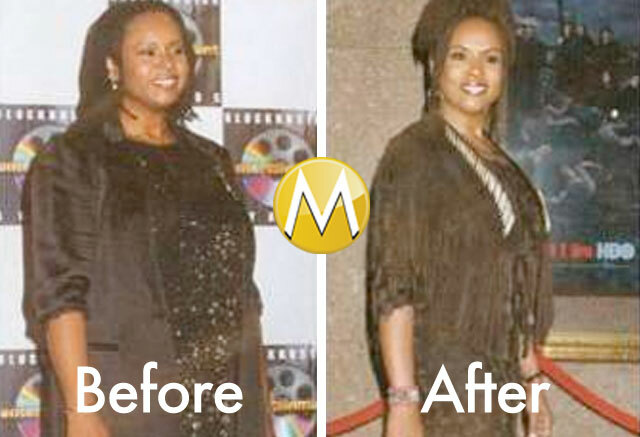 These before and after master cleanse photos are from 2 of the 3 most famous celebrities to succeed losing weight with The Master Cleanse. (Honestly) There is no proof these photos are actually right before and after the master cleanse as they didn't join our Group Cleanse and post their experience. These images are collected for entertainment purposes only. NOTE: These celebrities have in fact noted their Master Cleanse stories in several publications and interviews, so we at least know they are indeed Celebrity Master Cleansers. Jared Leto was thought to have done The Master Cleanse several times both for health reasons and for the fast weight loss sometimes needed for movie roles. 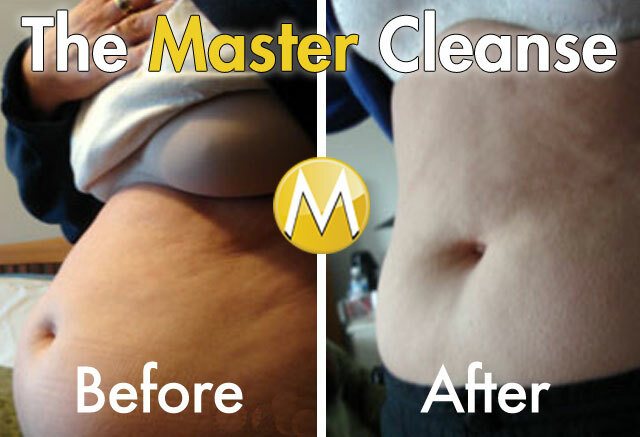 Do you have Master Cleanse Before and After photos or videos to share your experience with our community? Let your victory inspire another, and walk away with some pretty sweet swag as well. When we get to 10 useful entries, we'll make a random draw. 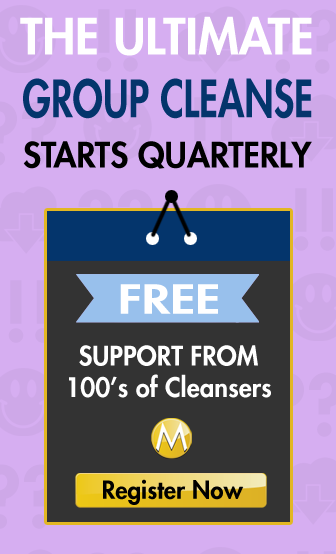 You'll have a 1/10 chance at winning your next cleansing supplies and $100 gift certificate to Amazon.com. Enter here by uploading your photo. I am doing the Master Cleanse for the 2nd time. I first did it about 5 years ago and lost 18 lbs. in 10 days. Even after I began eating on the 11th day I continued to lose and lost a total of 20 lbs. It was the only time that I lost weight and it stayed off. The first time was during the summer and it was easier to stay focused then because I was busy doing so much. This time, with winter being in full swing and spending more time indoors with less to do ( I tend to eat out of boredom), I expect it to be much harder. I will tell you that I did not do the salt water flush, and I still got results. The taste of the cayenne in the drink didn’t appeal to me either, so I purchased cayenne capsules at a health food store. I would drink the lemon water/maple syrup mixture about half way, then take the capsule and finish the drink. I think taking the capsule without enough of something already in your stomach could be a problem. You will feel better after finishing this cleanse. It’s tough at first, but stick it out. You won’t regret it. Today is my first day of the cleanse. This is my 2nd time doing it . It was super hard the first 3 days the rest was easy in 10 days I lost 20 ponds and kept losing. I had just had a baby an needed to get rid of the extra pounds now 4 years later in alm o st 39 so I want to get back in tip top shape . I really love this clease. I might try for 21 days but its my first full day today so we will see. So, how did it go? Did you manage to keep it up for all 10 days? I recommend waiting until day 2. Me and my friend tried and there was still junk in our systems so the flush did nothing on day 1. Is it ok to use this cleanse while on opiate pain medication? I want to upload my photos of my 10 day master cleanse. It says above to upload here but I don’t see where you upload photos. Please help Thanks.